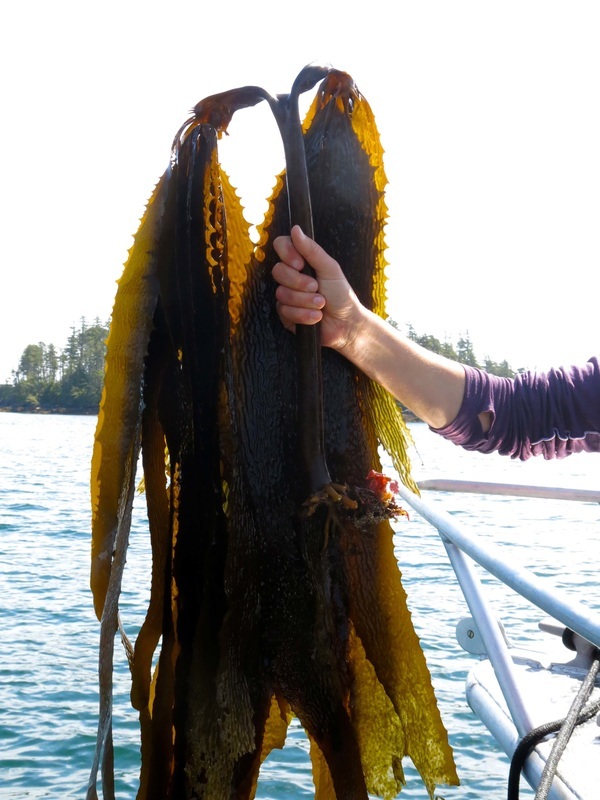 This brown alga has a palm-like appearance, with two bunches of blades originating from a thick, stiff stipe to 1.5 m long. The end of the stipe is forked, resulting in an obvious division between the two blade bunches. 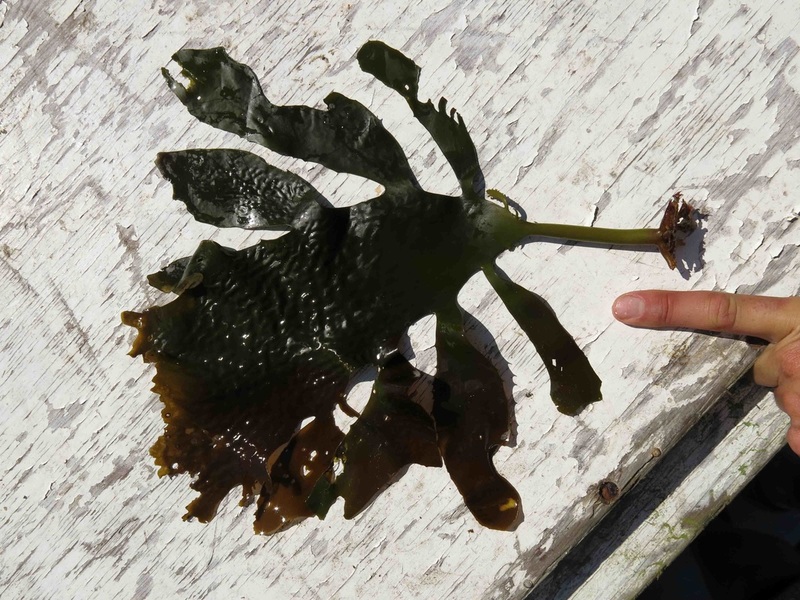 These blades reach 40 cm long, have strongly toothed margins, and tend to have a rippled texture - though palm kelp growing in more exposed locations may have smoother blades. Juveniles appear very different from fully grown individuals. Palm kelp grows in the most exposed areas of the intertidal and subtidal to 3 m deep. Its range is not continuous: it is found in British Columbia and from Monterey, California to northern Mexico. The reason for its absence in Washington and Oregon is unknown. It is cultivated in Japan and Peru. Sea palm (Postelsia palmaeformis) has a smaller stipe (to 60 cm tall), which splits into numerous branches from which the blades arise. Central BC is at the northern extent of its range. Palm kelp is used for a variety of different purposes: in Asian cuisine under the name Arame, as aquaculture feed, as a folk remedy against allergies, and as a moisturizer in cosmetics and soaps. Eisenia arborea. Seaweed Industry Association. Accessed 17/06/2015. Guiry, M.D. & Guiry, G.M. (2015). Eisenia arborea Areschoug. AlgaeBase. National University of Ireland, Galway. Accessed 17/06/2015. O'Clair, R. and Lindsrom, S. Postelsia palmaeformis Ruprecht. In Klinkenberg, Brian. (Ed.). E-Flora BC: Electronic Atlas of the Plants of British Columbia. Lab for Advanced Spatial Analysis, Department of Geography, University of British Columbia, Vancouver. Accessed 17/06/2015.